Friendly, fun, often mad, challenging events in Cornwall. 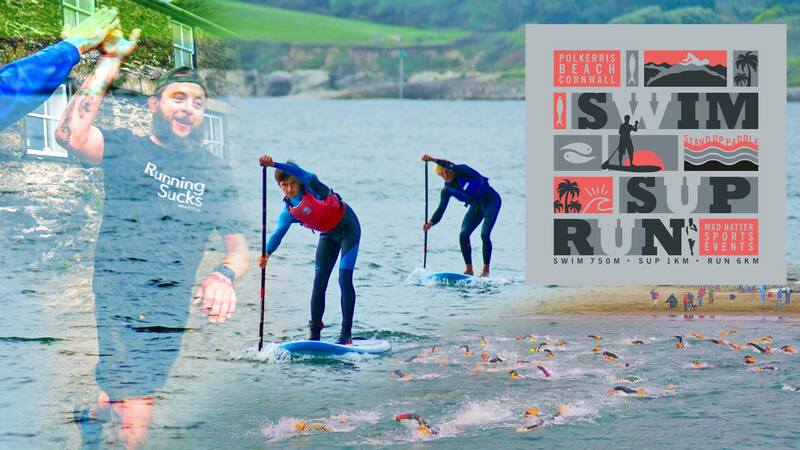 Events range from varying distance sea swims, an aquathlon to new and exciting SUP events for 2018! We have one event each month from May to September. An exciting new event for the summer of 2018! This is a new version of the traditional triathlon with the typical bike leg replaced by a stand up paddle board section. A limited number of SUPs are available to hire, if required please select this option on entering to secure one. Boards will be distributed at registration on a first come first served basis. 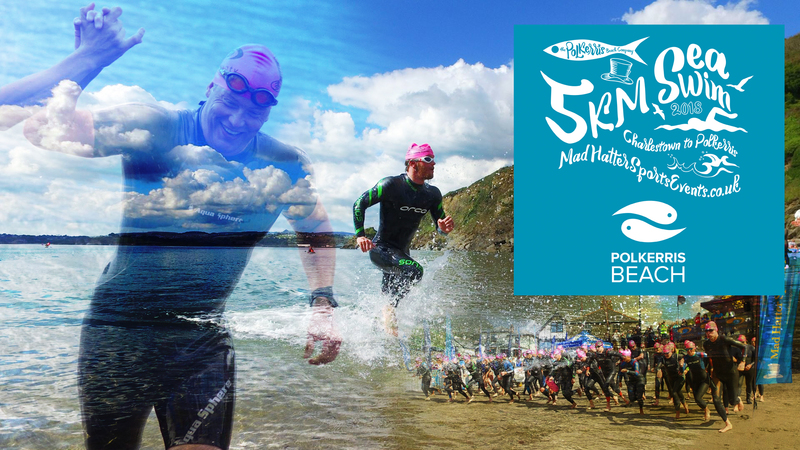 The tri will kick off with a 750m sea swim, followed by a 1km stand up paddle and then it's onto the final leg a 6km run along the South West Coast Path towards and across Par beach and back to Polkerris. The transition zone will be located on Polkerris Beach. This event includes both an individual race and a team relay race. So you're welcome to sign up for either or both! The entry fee includes an event t-shirt , a silicone swim hat and an all important free hot drink. Male and Female prizes for overall 1st, 2nd, 3rd and age category winners. 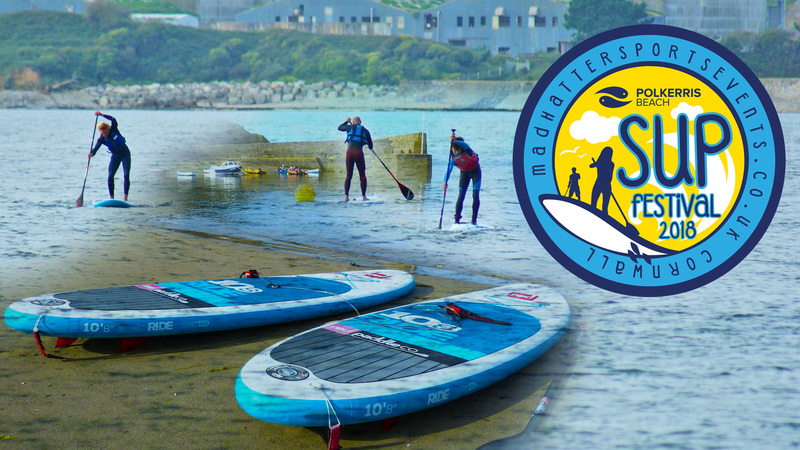 This event will see individual participants take part in Distance, Sprint and Technical races throughout the day and will also feature a Team Race on Mega SUP Boards. This is a great event for people of all paddle boarding abilities and there will also be kit demo’s, music and great food available. *Prizes for overall 1st, 2nd, 3rd male and female and age category winners. *An all important free hot drink! Back by popular demand in 2018! A stunning but tough event which is perfect for both novices and experienced triathletes. 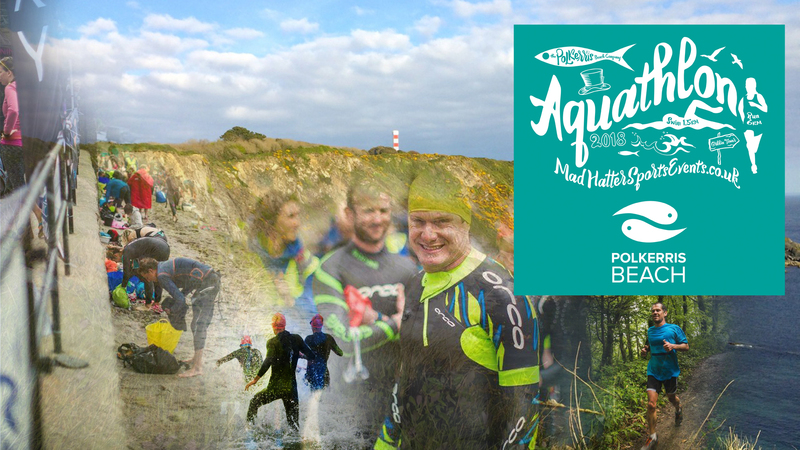 The Aquathlon starts from Polkerris beach and involves a 1.5km open water sea swim in and around the harbour. The swim is followed by a challenging but rewarding 6km run along the scenic South West Coastal Path. The run heads towards Gribbin Tower before looping back to finish on the beach. The event is open to both individual and relay entries so you can rope in a mate and do one discipline each! Each competitor will receive a coloured silicone swim hat and a special commemorative medal, as well as an all important free hot drink! Male and Female prizes for overall 1st, 2nd, 3rd and age category winners. This open water sea swimming event is a fantastic chance to try a swim of a particular distance if you're a beginner or experienced swimmer. The Swim Festival is a mass-participation open water sea swimming event and a great chance to try a swim of a particular distance. Alternatively, if you're feeling particularly fit, strong and ready for an extra challenge you could swim two or even all three distances! The event offers a choice of a 1km, 2km, or 3km distance. The course will consist of 1km laps and will involve a short Australian style exit near the water's edge. The swims will have separate start times, which provides the opportunity to swim three times and clock up 6km! 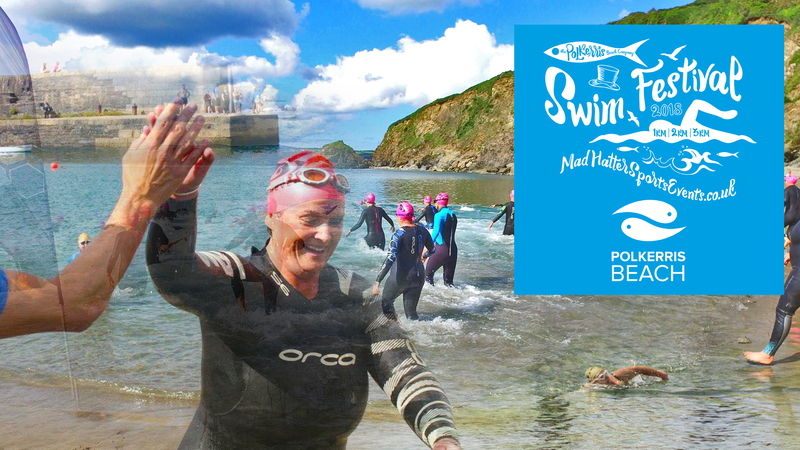 Each competitor will receive a silicone swim hat, a special commemorative bespoke glass medal hand made by Jo Downs, as well as an all important free hot drink! Male and Female prizes for overall 1st, 2nd, 3rd and age category winners for all swim distances. 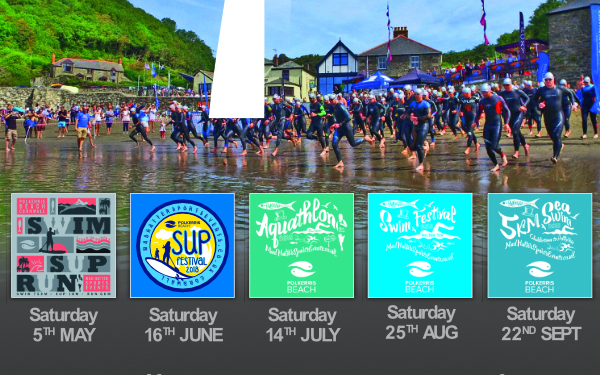 The 2018 edition of the 5km Sea Swim will be a point to point swim starting at Charlestown harbour and finishing on the beach in the harbour of Polkerris. The route will take you across St Austell Bay from West to East, passing alongside the beaches of Carlyon Bay, Spit and Par before finishing at Polkerris. Registration will take place at Polkerris and we will transport you to the start unless you have your own transport with family/friends. Each competitor will receive a coloured swim hat and a bespoke hand made Jo Downs glass medal, and naturally a well deserved free hot drink!